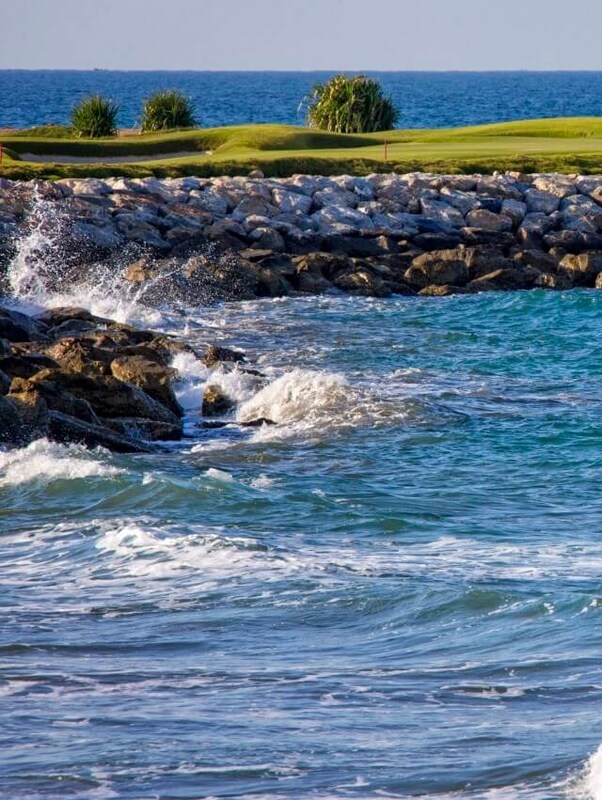 Al Mouj Golf: Inspired by Oman. Designed by Greg Norman. Along a two-kilometer stretch of pristine coastline , flanking the Indian Ocean and with the stunning Hajjar mountain range in the background, lies a striking oasis of lush green grass, accented with bunkers, water hazards and natural dunes. At 7,342 yards long, the 18 hole Championship Course at Al Mouj Golf is Oman’s first links style course offering amateurs and professionals a challenging, yet rewarding, game of golf. Complementing the Championship Course are world-class facilities including a teaching academy, a floodlit par-3 nine-hole course, Academy retail shop, floodlit driving range and restaurant. Tee times are available from 6:30 am until 16:00 pm daily on the Championship Course, to make your reservation please contact our friendly Reception Team on +968 22005990.